By David Ponce on 09/11/14 • Leave a comment! The aim of most long boards is to recreate the feeling of surfing, of calmly floating above the road on a little cloud while carving your way around town. Many succeed in this regard, and the Deska board appears to have every chance of pulling it off as well, and look great doing so. The wide deck has a dropped foot platform to lower your center of gravity, while the deck itself remains light thanks to a carbon fiber, Kevlar, wood, stainless steel, aluminum and fiberglass sandwich construction. There’s a foot retention strap running along the top, which helps you keep your feet on the board, but which can also be removed in an instant. And should you have some windsurfing ambitions, there’s a spot on which you can attach a sail. The three oversized, 200mm wheels should do an easy job of absorbing road imperfections, and a hand-held braking system is available for those of you who prefer slowing down that way. 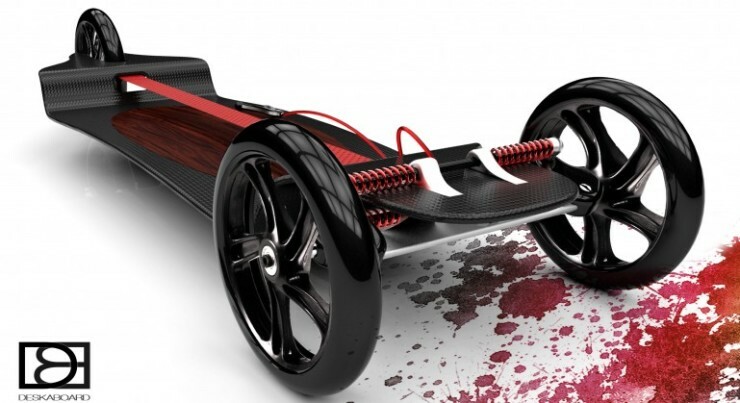 Getting your own Deska board will require a $390 early-bird pledge on their IndieGogo campaign. 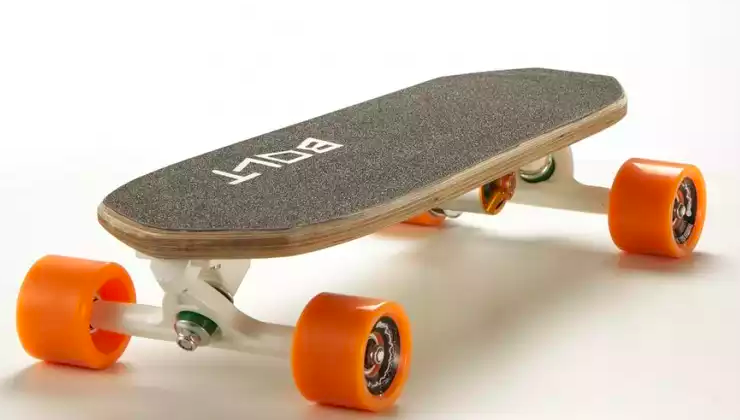 It may not be the same board that Marty McFly promised us we’d have by 2015, but it’s close enough for those of us who tried it at CES to be content. 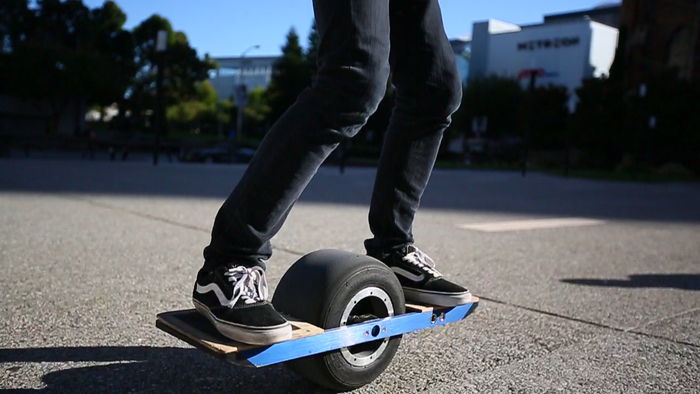 The OneWheel Self-Balancing Electric Skateboard uses a central go-kart wheel wrapped around a brushless electric hub to propel you forward (and backward) up to 20mph by simply leaning in the direction you want to go. 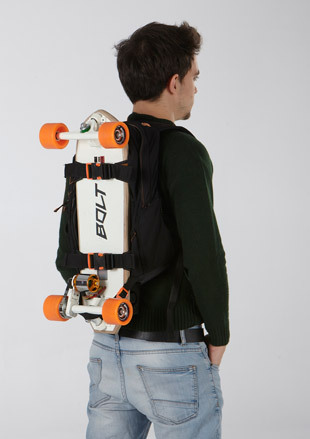 Accelerometers, gyroscopes and advanced algorithms keep you upright, and the sensation of riding the board has been described as one “flying over the pavement”. Even though it has a somewhat limited range of 4-6 miles, the fast charger will fill the battery back up in as little as 20 minutes. Currently well funded on Kickstarter, a $1,299 pledge will get you a board with a standard charger (2 hour charge time), while an extra $100 covers the fast charger.